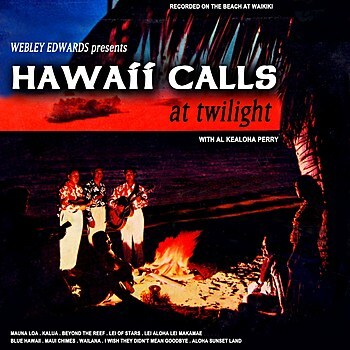 One of the first Hawaii Calls albums from the mid 1950's before the days of stereo. Presented here as a digital download, but missing two tracks from the original LP--why, I just don't know. Sound quality is pretty good and the original cover art is used here, albeit a heavily over saturated version. NOTE: This album was released on CD only in Japan in 2006 with the full album tracks and a sparkling digital transfer of the audio at that. Stadly the Japanese version is long out print and more rare than hen's teeth.